While technology is such an amazing convenience for us in the world today, it can also hinder our ability to make trusted human connections. This is so true especially when trying to find reliable childcare for our most precious little ones. It can be incredibly daunting to place our childs’ lives in the hands of a stranger and sometimes it can be difficult to find the accurate information that we desire. There are millions of parents out there experiencing the same thing year after year. One couple who experienced months of these anxious and frustrating feelings decided to take action and come up with a solution for parents just like them. They created a website to connect parents and childcare providers and provide a plethora of resources and information surrounding childcare options. On their website, MomTrusted.com, parents are able to do a daycare search by zip code. This allows families all over the country to receive information relevant to their community. There are several websites that provide a daycare search by zip code but MomTrusted is one of the only sites that allows parents to leave reviews about various childcare providers as well as connect with other parents for support, advice or even a playdate. Childcare is not a cookie cutter life option that just magically works for every single individual child that comes through their doors. Families need to find solutions that work for their child and their family. MomTrusted gives parents personalized tools to find the “right” fit. Their mission is to bring together parents and providers to help children to learn and grow. They feel that every child deserves to be well cared for and loved and that education is the key to empowerment for children. 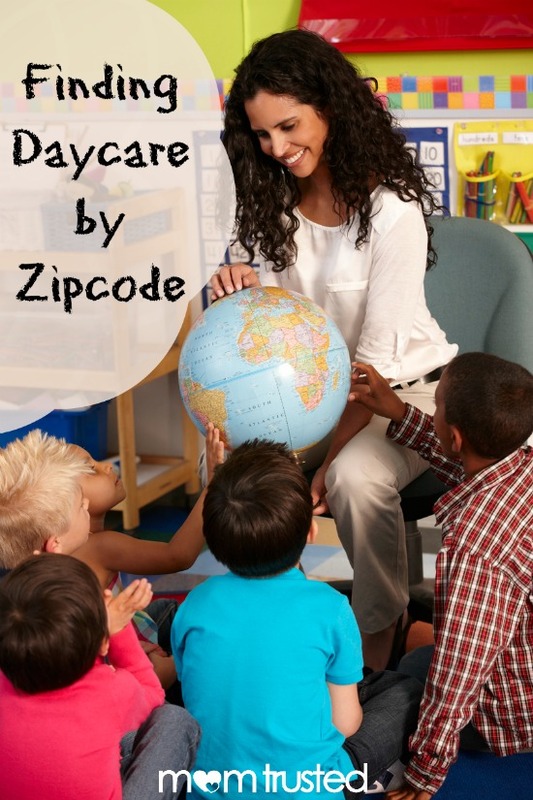 This daycare search by zip code service provided by MomTrusted can connect parents with all types of childcare providers: mother’s helpers, babysitters, nannies, au pairs, daycare centers, and family day care centers. A mother’s helper watches and cares for children while a parent is still home. This helper is often young enough that they have not become an established babysitter yet. A babysitter is an individual hired by the hour to care for a child and is usually a part-time arrangement. A nanny is a more regular in-home child care provider that typically has a closer relationship with the family as they spend more time with them. They may have more professional background in childcare and may be gaining experience for a career in childcare. An au pair is typically a nanny from a different country for whom room and board and a stipend is provided in exchange for child care. Finally, the most popular options for full-time childcare are daycare centers and family daycare centers. The difference is that family daycare centers often have far fewer children and can be much cheaper than traditional nonresidential daycare centers but they may have more relaxed expectations.